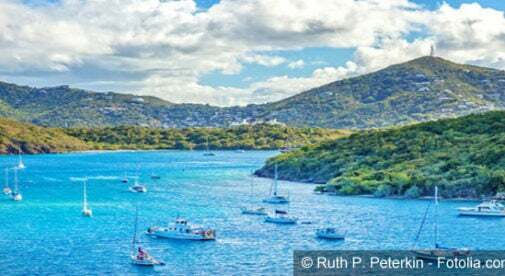 The first time Gary Pierce and his wife Julie took a four-hour sailing cruise in the U.S. Virgin Islands, they knew they wanted to retire on a boat in the Caribbean. But could they do it with no experience and limited funds? They lived 90 miles from the Gulf of Mexico – so learning wouldn’t be easy or convenient. And they didn’t have a fortune to spend on buying a sailboat – or on heavy month-to-month expenses once they began “island-hopping” in the Caribbean. The good news is, Gary and Julie discovered that learning how to sail, buying a sailboat, and cruising from island to island isn’t as difficult – or expensive – as they once believed. In fact, they wound up spending eight full years sailing the Caribbean on their own boat, without any major problems, and spent only $1,000 a month to do it – all in first-class style. In the May 2011 issue of International Living Magazine, Gary reveals what it’s like to cruise the Caribbean full-time. And he provides practical tips for anyone who, like he and his wife, has dreamed of retiring on a sailboat in the Caribbean, but always left that dream in the realm of fantasy. How did they live on $1,000 a month? Here are some of Gary’s money-saving tips. What about the cost of buying a sailboat? Well… although Gary paid $118,000 for his 36-foot boat, Shadowtime, he says it’s possible to own your own sailboat for much, much cheaper. How do you gain the necessary experience to become a full-time sailboat captain? Here’s what he suggests. Even though Gary and Julie were careful with their funds, they discovered they could still enjoy a luxurious, exotic lifestyle. Gary’s a firm believer that anyone can retire on a sailboat in the Caribbean – regardless of experience or budget. “The biggest obstacle to people enjoying this dream is thinking that you have to acquire more nautical knowledge, a larger boat, or more money before you go cruising, “Gary writes.